Karnataka Election Commission has published the draft voter rolls in the website. Check out the Kannada version here. As of now there is no English version. So you need to know Kannada, and know your booth number or name of the booth to check your name on the list. In the field ‘District’ check `Bangalore’ or your district from the drop down menu. and click on the left most box ‘Details’. If your name does not appear, it is best you register again. 1) Go to http://ceokarnataka.kar.nic.in/ (preferably use Mozilla or Firefox). 6) You need to take the print copy for the ERO to the nearest ERO office. You can check whether your name exists on the voter roll, by clicking here as well. You can search for your name by entering EPIC number or name and relative’s name. You can even submit Form-7 to delete your name from the voter list of a particular area, Form-8 for modifying details, and Form-8A for transposition, online. To demand the above rights, it is also our DUTY as responsible citizens to CAST OUR VOTES. As you are aware, there is a large section of citizens who have not yet enrolled to be a voter. B.PAC is continuing the efforts to sensitise citizens to register as voters through our ‘One Million New Votea’ (OMNV) Campaign. 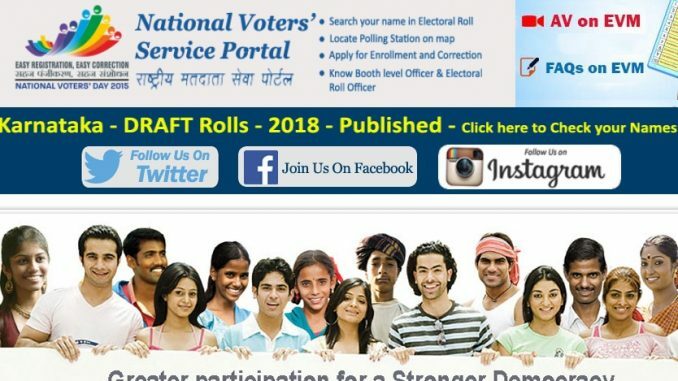 In yet another initiative, Namma Bengaluru Foundation (NBF), through its citizen’s collective United Bengaluru, has been working on enrolling more and more people into electoral rolls. United Bengaluru is a citizen’s movement to Reclaim and Protect Namma Bengaluru, with mentors like H.S. Doreswamy, senior freedom fighter; V Balasubramanian, former chief secretary Karnataka; A.T. Ramaswamy, agriculturist and activist, Yellappa Reddy, environmentalist and former Indian Forest Services officer. In the forthcoming elections in 2018, Bengaluru must only elect MLAs (irrespective of Party) who support our desire to Reclaim and Protect Namma Bengaluru. The first step to voting is to be a registered voter. In Every election, many of us find ourselves unable to vote – because we are not in electoral rolls. Sometimes 10-15% of all eligible voters are left out. 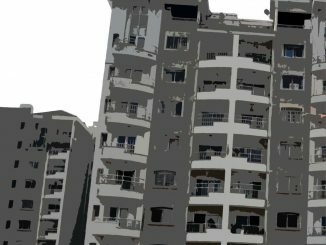 Some by accident, sometimes by ruling dispensations who use the BBMP to do so by design. Citizens are encouraged to give a missed call to 9206056010, They will get an automated response leading to the website reclaimingbengaluru.com with details of ways to register or updating details with the ECI. Full disclosure: Citizen Matters has worked in the past with BPAC to cover elections and voter sentiment surveys. Citizen Matters was awarded Namma Bengaluru Award in the media category in 2014, by the NBF that initiated United Bengaluru. The information given here is from the press notes shared by the respective organisations, and the onus of accuracy of the information lies with them. The respective organisations are responsible for the way the data collected is handled. After clicking on “Enroll online as a Voter” it takes to ‘http://voterreg.kar.nic.in/site_temp_close.aspx’. Upon loggin in, when I tried to click on the Forms and entering constituencym it says “This Website is temporarily closed”. Please help. Unfortunately, your ‘how to register’ guide won’t work because the CEO-KA site is in bad shape for the past two months. Simple to correct some of the problems, but the authorities are defensive and don’t act on repeated feedbacks and don’t accept help. When you search, you get wrong data. So far only Kannada version of the new rolls are published. They too are image files and are CAPTCHA protected. Sheer data denial. I could not find my section in the rolls. New parts have been introduced and your name may not be in the part where it appeared last time. I spoke to the Joint CEO, but he is out of station and can discuss only on his return. CEO has not responded to several emails.